Yesterday morning my class and I did not get a lot of work done as we attended two assemblies. The first one was extremely interesting: a parent at our school is a pilot for the Royal Canadian Air Force and spoke to the children about the work that he does both in Canada and Abroad. The photos he showed us created interest – as did his uniform and the medals he was wearing. After recess we attended the formal Remembrance Day assembly. The tone was set with the playing of the bagpipes as we entered the gym. The assembly was solemn (not the usual fun vibe) and included a beautiful rendition of In Flanders Fields by the grade 4s; a reflection what was done by the veterans (given by the Major the school had already met that morning); singing of Enfant de Paix by the entire school, and a trumpet rendition of a well-known military song (whose name I do not know). The school exited the gym quietly once the ceremony was over. Many of the adults (parents and teachers) left with tears in their eyes. 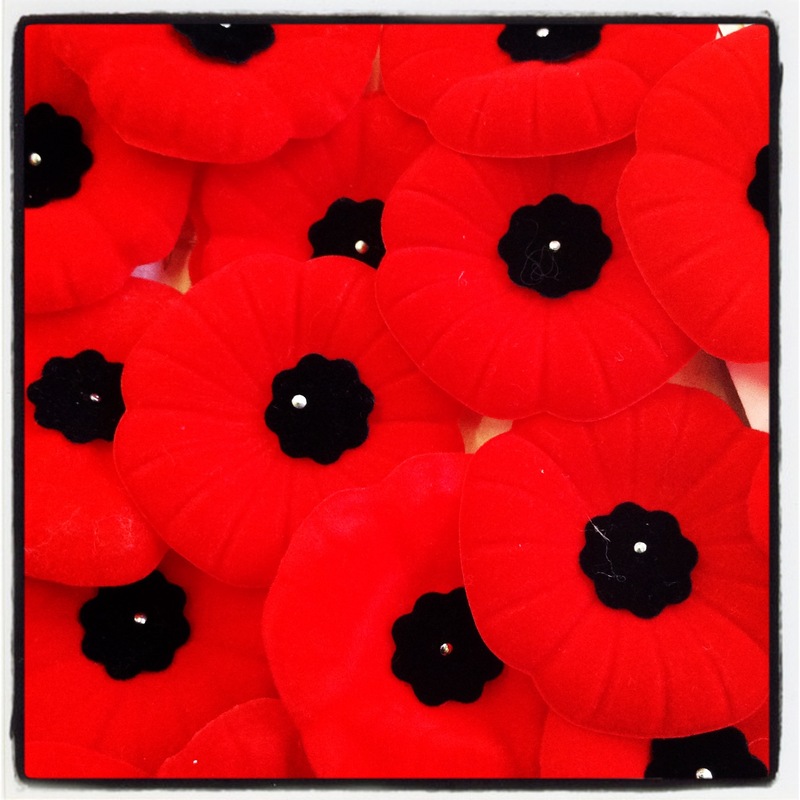 What did you do to honour the veterans and those who continue to fight for freedom? Colline, your school had a wonderful program to help instill a sense of pride, remembrance, and patriotism. It is a tradition at the school and one that every principal upholds. So important to honour the brave men and also to teach young children about the devastation caused by war. Your assembly sounds wonderful. It is. What is nice is that many parents attend as well and it is good for the children to see that adults are paying their respects as well. What a lovely song, Colline! 🙂 And I love your Poppy plates. I didn’t do much other than observe the 2 minutes silence, which fell at the end of my t’ai chi class, and read a lot of moving posts. Reading posts is a good way to remember the veterans Jo. I think the idea behind the day is to realize how lucky we are that there are people who were willing to fight and die for our freedom. They’ve given, and continue to give, so much for us.I sometimes wonder whether we would be willing to do the same. I think if our freedom were threatened (as in World War 2), may people would take up arms. The assemblies sound like a nice break in routine and valuable experiences for the children. They are Ruth. And I think that they do learn something from them. A beautiful tribute and lovely music Colline. It is great to see respect still given in schools to our military history. Remembrance day is a big thing at the schools here in Toronto – the workplace seems to be different though which is such a pity.